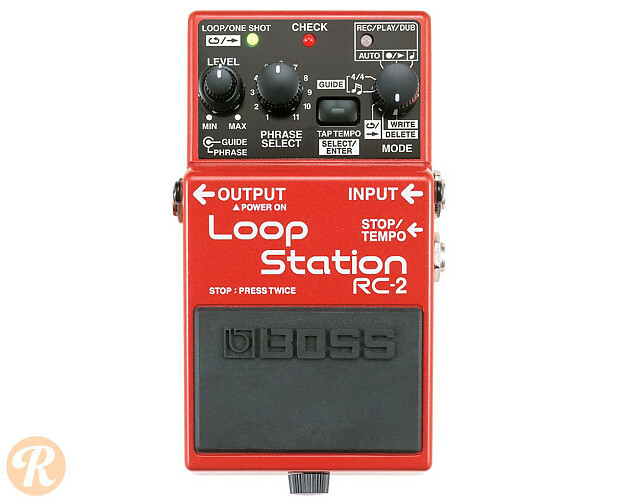 The Boss RC-2 Loop Station is built as the smaller version of the Boss RC-20XL and RC-50. The RC-2 is far more compact, and features up to 16 minutes of recording time and the ability to store 11 distinct phrases. The RC-2 comes with a Level knob, Phrase Select control, Tap Tempo, and a Mode knob, which allows you to write and delete phrases.